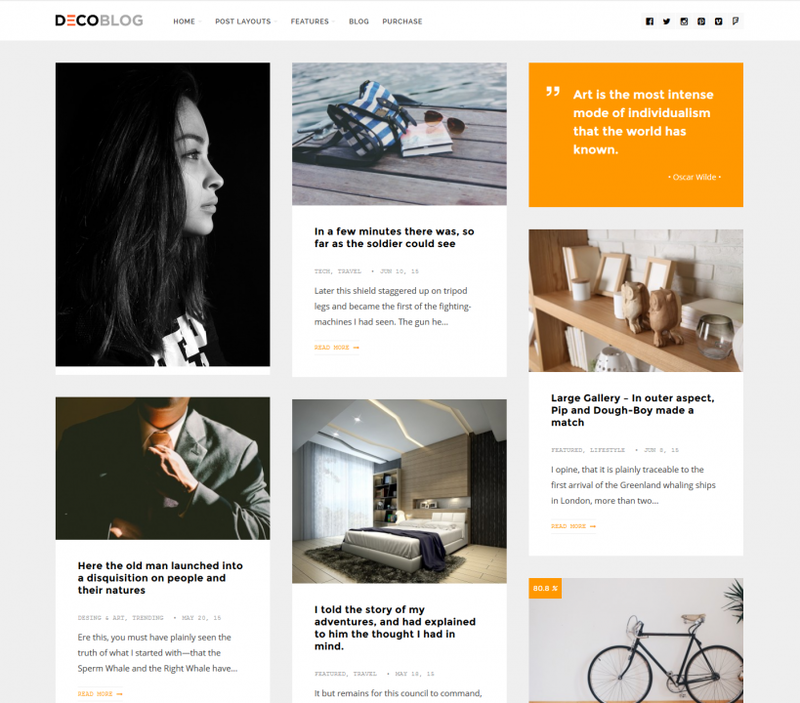 Decoblog is trendy and modern WordPress theme. 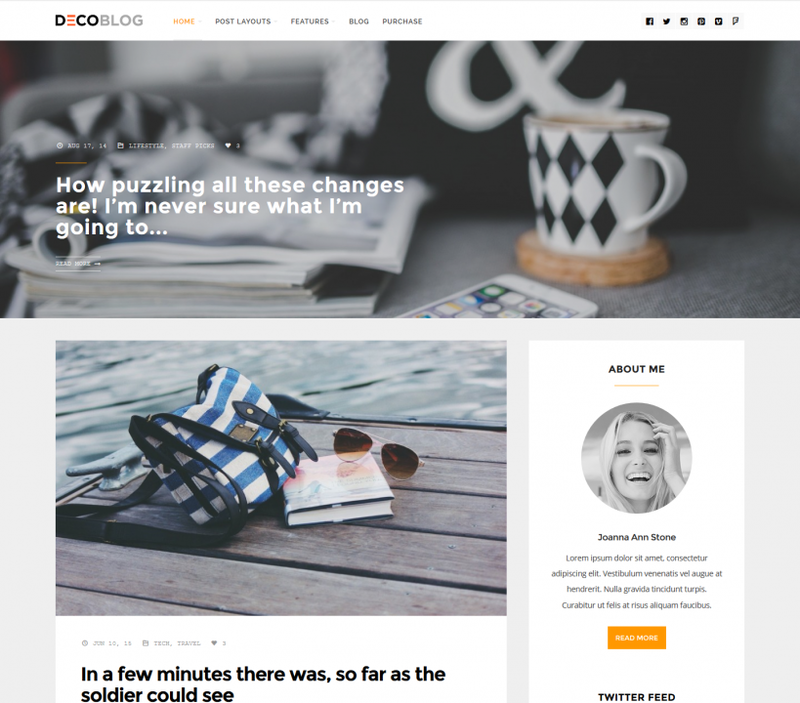 Theme is perfect for all blogging, lifestyle, design, art, styling, fashion, decoration, interior or personal websites and includes lots of features like Drag & Drop page builder, unique page builder blocks, support for WooCommerce etc. 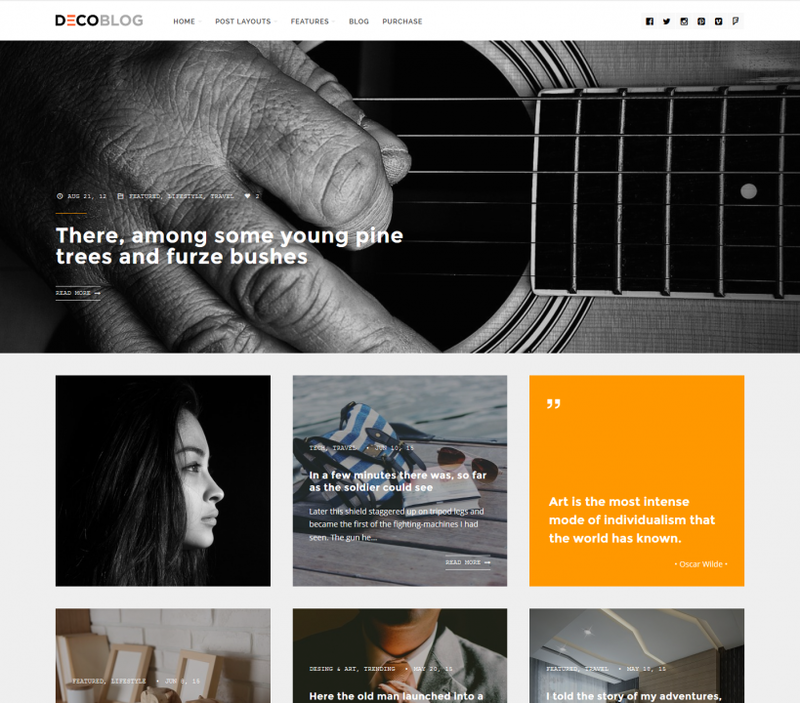 Share the post "Decoblog Theme"